You are going to Watch Kaijudo: Rise of the Duel Masters Episode 8 online free episodes with HQ / high quality. Stream cartoons Kaijudo: Rise of the Duel Masters Episode 8 Online Shaw K’Naw.A series of strange robberies has been hitting the city. 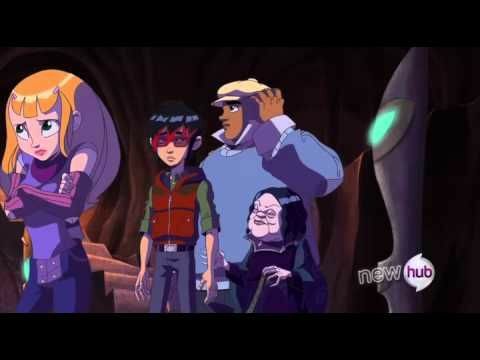 Ray, Allie, and Gabe discover that a thug named Heller is behind the robberies and has been using a gauntlet that he stole from Choten’s men to control a Storm Patrol creature called Shaw K’Naw. During battle, Ray is temporary blinded and Master Jaha ends up having to train him to use his other senses to see while training with a Tarborg creature called Fumes. Kaijudo: Rise of the Duel Masters Episode 7 Into the Fire Pt. 2 Kaijudo: Rise of the Duel Masters Episode 9 The Taken.